你好 │Hi there! I am Kelly! Along with my partner, Han, we have worked as tour guides since 2009 and we love meeting people from all over the world and show them the best of our country, China! With over 10 years in this industry and a lifetime of local knowledge, let us show you how to enjoy Beijing! We will take the upmost effort to ensure your safety and utter satisfaction. Our mission is to satisfy and impress our valuable clients with the highest possible standards. Our office staffers, and drivers are committed to working hard for you, maintaining your fun and enjoyment. The reviews you read on TripAdvisor are testimonial to the fact that we provide great service to all of our clients. People often tell us that that they choose us for our competitive pricing. However, that doesn't mean that we cut the quality of our service. 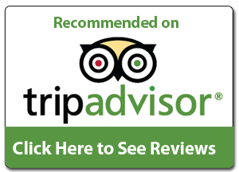 Click on the TripAdvisor image or the following link (Beijing Private Tour Guide Kelly and Han) to see what our customers say about us!